The sandy beaches, palm trees, breezy coasts and warm waters of Dominican Republic present the most picturesque and soothing ambience to tie your knot. It has many resorts with great packages and planners for wedding ceremonies, the backdrop and decorations are all natural, you have to add the final touches! 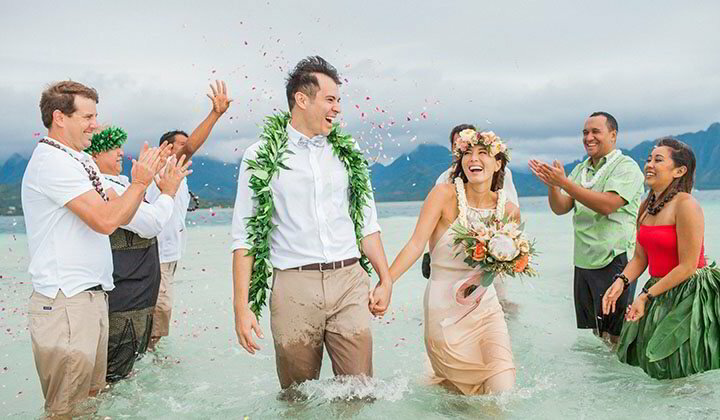 This is an all-year warm weather region, so you can plan your wedding at any time in the year. Every time is summertime here. Jamaica offers an amalgam of sandy beaches, palm trees, warm weather and vibrant culture. 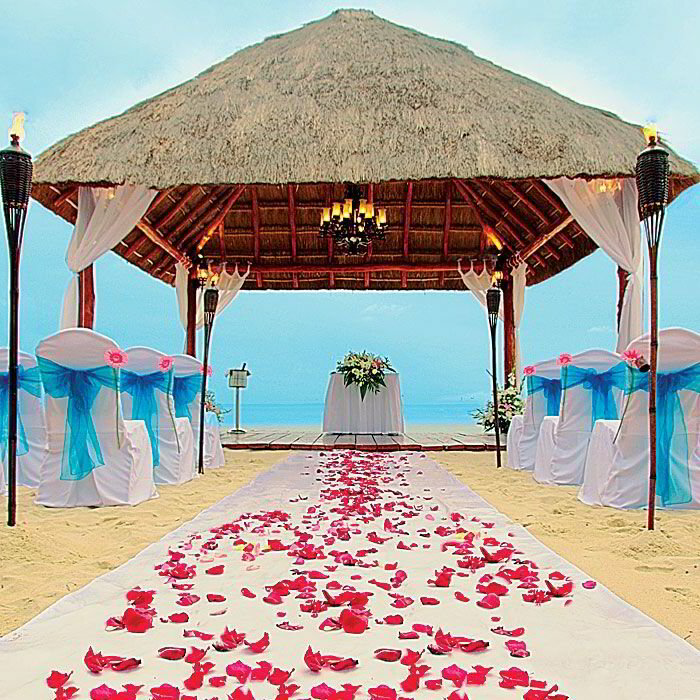 It has a fun-loving and laid-back environment and is one of the most affordable destinations to get married. Jamaica has luxury resorts that come with villa and chefs - convenience with services. Again, gorgeous scenery, amazing backdrops and weather. You can set the date in any month between December and June except March, which is the spring-break time. Hurricane season is from November to June, so avoid those months. If you are looking for tropical destinations with a tinge of urban style, Costa Rica is your spot. This small country has mountains and beaches, volcanoes and forests, waterfalls and all the breathtaking landscapes that you can imagine. 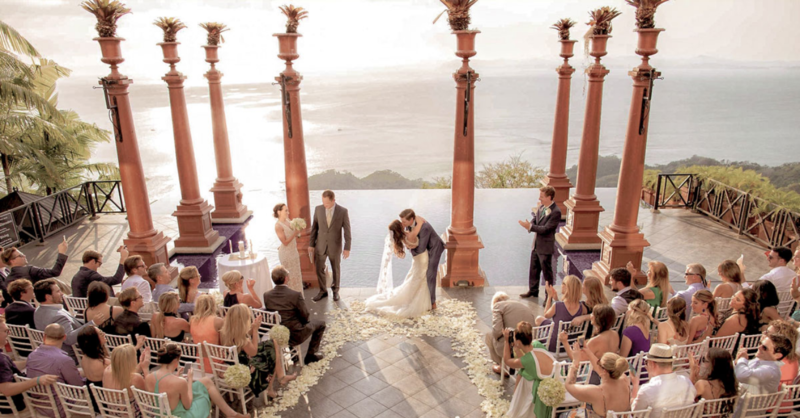 The ideal time to wed in Costa Rica's is from December to April, that is the dry season. Costa Rica is just as pretty in the rest of the months too, but only with a little rainmaking that time non-ideal for a wedding reception. Cozumel is an island while Los Cabos is small coastal town. Both are rich in scenic beauties and fun beaches. There are many spots that your guests can visit, their many beaches that your guests can party on, and there are many resorts where your guests can see you and your spouse say, I do! The ideal time to tie the knot in these towns is Mid December to February, and it is dry, warm and not too packed. Hawaii, with its diverse islands and vast topography it is the ultimate party location. Bar Harbor in Maine, that has the most romantic scenery, with rugged coasts and dark blue waters, sophistication and beauty is what defines Bar harbor. Tucson in Arizona, which presents a natural, southern landscape. It will surely make a unique setting for your big day. Who doesn’t want to get hitched in Italy? The food and the surroundings in Italy will make your wedding a tale, out of some romantic European dream, to remember! Italy has the best weather and environment in April through June and in the twin months, September-October. Best time to the set the date! Ireland is also a great destination in Europe for a fairy-tale wedding. With its beautiful castles and countryside greenery, rolling hills and cliffs, Ireland seems to be the ultimate setting for a fairy-tale. Say yes to your prince in Ireland on any day, May through September.